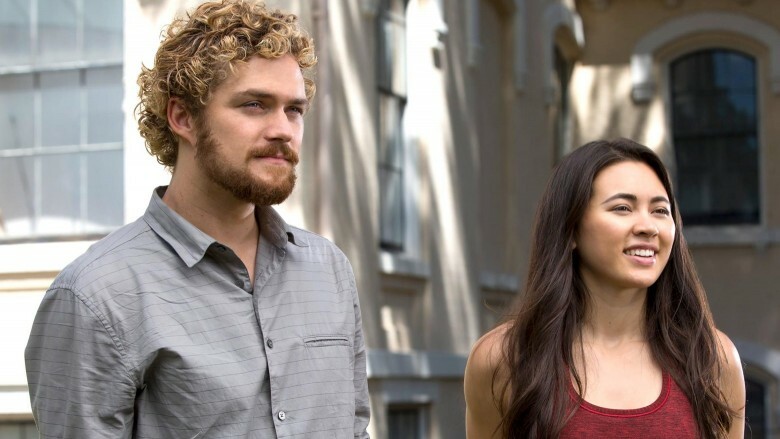 Marvel's Iron Fist, the final season of super-powered Netflix action until the Defenders crossover miniseries later this year, was highly anticipated by fans of Marvel's "street level" heroes. They couldn't wait to see a live-action take on Danny Rand, the Immortal Weapon, protector of K'un L'un—but when the first six episodes were screened for critics, early reviews were absolutely brutal. When Netflix released all 13 episodes this past Friday, worried fans checked in to find that their fears were largely justified. Iron Fist currently holds the lowest Rotten Tomatoes rating of any Marvel Studios project by far, and it isn't just because one thing went wrong. 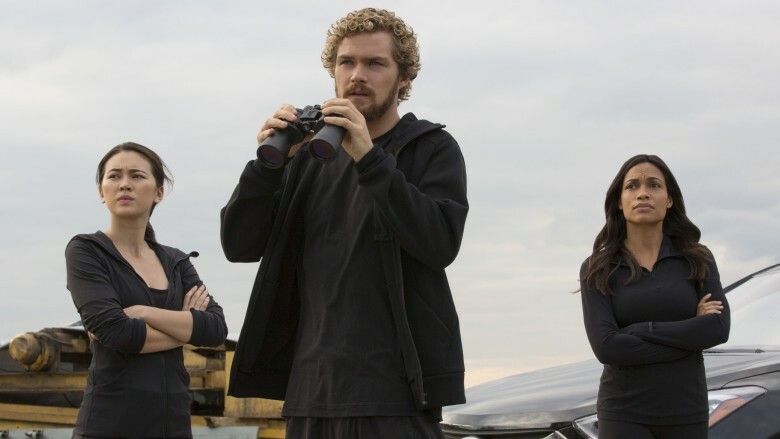 In contrast to the other Netflix Marvel series, not enough thought seems to have been put into what makes Danny Rand (Finn Jones) compelling. Each of the other Defenders have well-defined character traits: Matt Murdock struggles with his Catholic guilt while dealing harshly with the scum of the Earth, Jessica Jones is an alcoholic survivor of sexual abuse who tries and often fails to make good choices, and Luke Cage carries the injustice and conflict of his past into every situation. Danny has no such defining traits, and the flashes of character we do see are inconsistent and serve to make the character less compelling. For example, much of the show's conflict arises from Danny's struggles to control his anger while others try to talk him down. Not only does this make little sense for a character who has "spent the last 15 years learning to control (his) body, mind and emotions," but it's not justified by the narrative—Danny simply isn't given a reason for this struggle beyond a plot device. Moreover, his motivations are unclear. For those unaware, Danny's title of Iron Fist means he's the designated protector of the mystical city of K'un L'un, where he trained—a post he abandons at his first chance, despite not having a clear reason. Even when asked directly why he left, which happens more than once, he's unable to give a reason beyond a vague need for "answers." This lack of motivation and strong characterization extends to supporting characters as well—for instance, one attempts to have Danny killed in the very first episode, an over-the-top response to his reappearance that doesn't fit with the character's later actions. This lack of emphasis on strongly developed characters could be forgiven to an extent if the fight scenes came through, but as much as Danny's prowess is talked up—usually by Danny himself—the action sequences involving him are incredibly lackluster. They suffer by comparison not only to sister series like Daredevil, but even to the fight scenes that don't involve Danny, such as a brutal cage fight sequence in which Colleen Wing (Jessica Henwick) demonstrates what an utter badass she is. This suggests that the problem lies mostly with Jones, who doesn't quite have the physical presence to pull off the "Immortal Weapon." While many critics have suggested that aggressive editing is largely to blame for the incoherence of some of the fight scenes, this seems to have been a tactic used to mask unconvincing action in certain scenes—which almost always involve Jones. Henwick's solo fight sequences in particular are a marked step up from the rest of the series' action, but Iron Fist never approaches the virtuoso choreography of Daredevil or the physicality of Luke Cage. 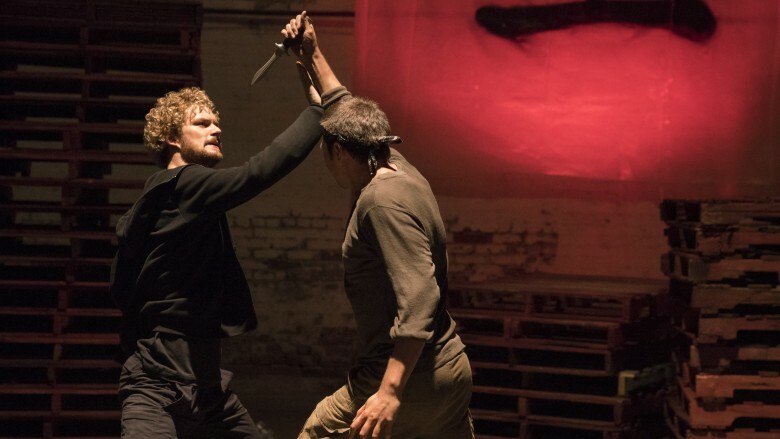 With the reputation that the Netflix Marvel series have developed for killer, bone-crunching action, fans expected Iron Fist to pull no punches, and it failed to deliver. As underwhelming as the action can be, it would help if there were more of it—or, at the very least, if the plot didn't take so long to develop. 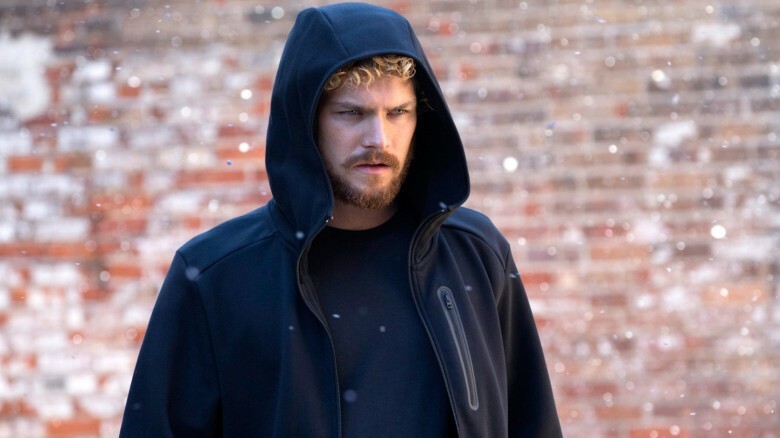 While the bones of a good story are definitely here, Iron Fist takes a long time to get moving, and its plot seems to be stretched uncomfortably over the season's 13 episodes. Danny's initial struggle to establish his identity is a good example of this, taking three episodes to accomplish what could be done in one. Danny returns to the company that bears his name, the Rand Corporation, which is being run by his cousins—but he inexplicably fails to take the most obvious routes to prove who he is, such as offering up personal details to them that only he could know, until the plot requires his identity to be established. While the show's pace picks up after the first several episodes, it never overcomes its plotting problems, leaving questions big and small unanswered and indulging in plot twists that make little logical sense. For example, a midseason reveal that shakes up Danny's allegiances stretches credibility while deviating wildly from the source material, and a Dark Knight-like "forced extradition" of a villainous character from a foreign country occurs offscreen with no explanation. Inconsistencies and plot holes of this sort abound—suggesting a writer's room that was disorganized, rushed, or both. The characters of Jeri Hogarth (Carrie Ann-Moss) and Claire Temple (Rosario Dawson) from previous Netflix series both have supporting roles, and they immediately class up any scene they're part of. But this actually does the show no favors, and for more than one reason. For one, the presence of these well-defined and interesting characters points out the problems with the rest of the cast, particularly the lead. Moss' steely charisma and Dawson's reluctant heroism nicely illustrate the lack of defined character traits for the main cast, and serve as unfortunate reminders of better-written shows. Also, Claire has a specific tendency to point out Iron Fist's plotting problems through her dialogue. Danny has a tendency—not characteristic of the Danny Rand comics fans know—to rush headlong into unpredictable situations with a head full of anger, and every time the viewer starts to question why he'd act this way, Claire (or, at times, Colleen) beats them to the punch by asking him directly. The fact that he never has any logical answers certainly doesn't help. Even when dealing with reasonably heavy material, Marvel fans have come to expect a certain amount of levity. Stoic badass Luke Cage is an unintentional master of deadpan humor, and even Daredevil's Foggy Nelson succeeds in injecting that series with a little humor in between brutal beatings. 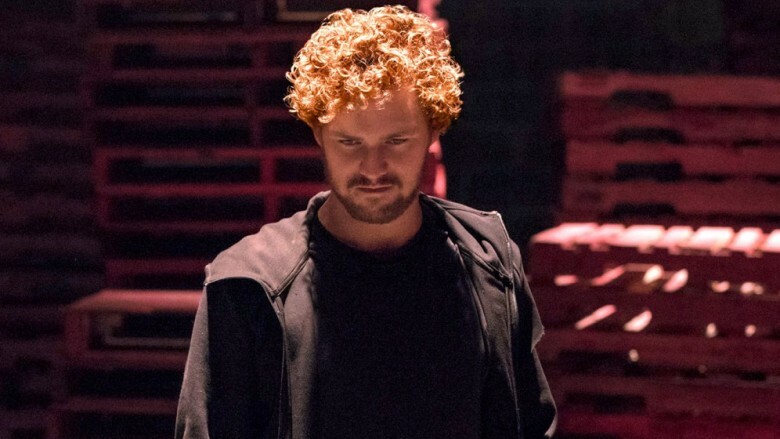 Perhaps one of the more disappointing aspects of Iron Fist, then, is that it seems to be dead-set on taking itself absolutely seriously—and with all of the show's other issues, that's a more serious problem than it might have been otherwise. It also doesn't help that virtually every one of the few wisecracks made throughout this first season come out of the mouth of Claire. While this makes sense given what we know of her character from the previous series, it's tonally jarring and makes it seem even more like she's just visiting from another, more well-written show. If Iron Fist is to get a second season, there's plenty that needs fixing—but giving the series the slightest sense of humor about itself would be a good place to start. Each of the Defenders grapple with issues of morality in their own way. Jessica Jones is willing to swim in some morally murky waters if it gets her results, while Luke Cage sees morality as more of an absolute. Of course, none of them struggle as hard or as often with such issues as Daredevil, whose devout Catholicism keeps him from venting his full fury on the scumbags of Hell's Kitchen. These characters are to an extent defined by their moral stances, so it makes sense that Danny Rand would be too—the problem is that his doesn't make any sense. As previously noted, the Danny Rand of Marvel Comics is the living weapon—the immortal defender of K'un L'un against the Hand, a ruthless clan of killer ninjas. He may not be bloodthirsty, but he has no problem dispatching enemies in the fulfillment of his duty—in stark contrast to his live-action counterpart, who struggles constantly with whether to kill even when it is the clear course of action. This trait seems to have been assigned at random, and is too often reminiscent of Daredevil's similar struggles, which make much more sense in the context of his character. 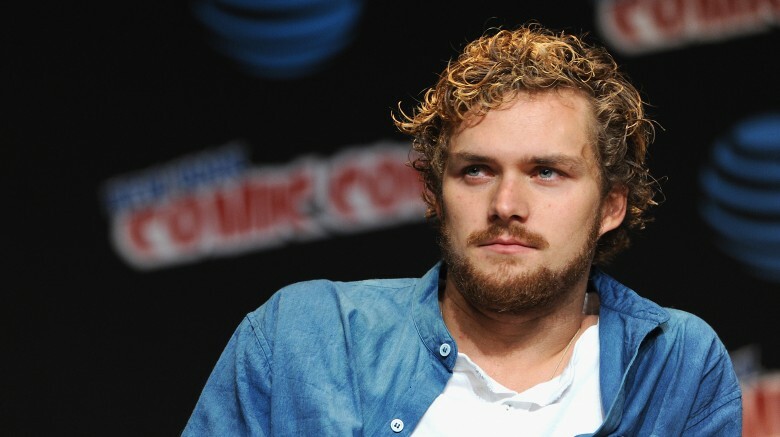 A more morally neutral Danny Rand would not only have made for a more interesting lead character, but would've also added something new to the Defenders' team dynamic. We'll have to wait to see how this plays out, because there's no time for rewrites—Defenders wrapped filming the same weekend Iron Fist was released. When Jones' casting was announced in early 2016, a large contingent of fans were sorely disappointed. 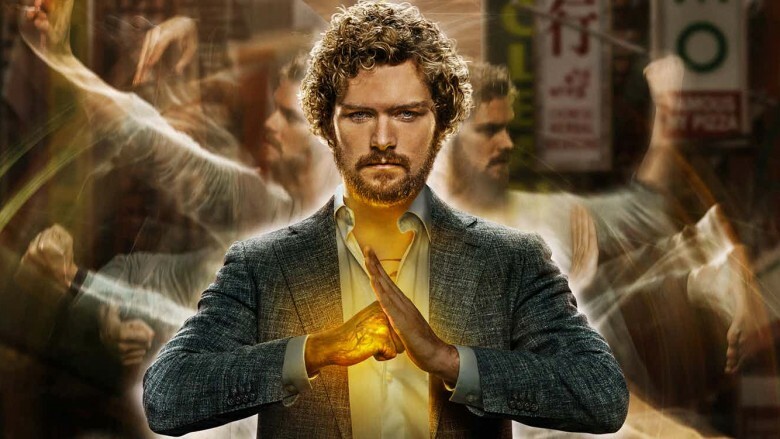 The character of Iron Fist is a product of the '70s, when the trope of a Westerner (see: white guy) becoming the greatest martial artist ever and supreme protector of an Asian culture didn't seem problematic, and many fans and critics felt that Marvel could most effectively update the character by giving him Asian ethnicity. Strong writing and a sensitive lead performance may have sidestepped this issue, but the first season of Iron Fist delivered neither. The writers put Danny in a number of uncomfortable positions—a disruptive sprint through a Chinese parade while wearing an Asian mask, a condescending lecture to a room full of non-white students—and Jones' portrayal doesn't add any nuance to hint at anything going on below the surface. In particular, Danny's attempts to establish his identity after returning to New York come across as the actions of an enormously entitled character; he violates personal boundaries and even breaks laws (then later explicitly states that he hasn't broken any laws), all the while insisting that his admittedly insane story about mystical interdimensional cities and undying dragons be taken at face value, simply because of who he is. Of course, the problem doesn't lie solely with the fact that the Danny Rand of the MCU is a white, ultra-rich jerk—if it did, Tony Stark wouldn't be a household name—and Jones notwithstanding, the show's cast is quite diverse. But with so much of Iron Fist's pre-release buzz centered on its perceived diversity problem, its tone-deafness in that respect does it no favors. Most fans would agree that Marvel Studios has an unbelievable track record with its casting of major characters. From Robert Downey, Jr.'s complete embodiment of Tony Stark to Tom Holland's pitch-perfect Peter Parker, they've been remarkably sure-handed, and the Netflix series have been no exception. But unfortunately, the early skepticism of Jones' casting turned out to be well-warranted. 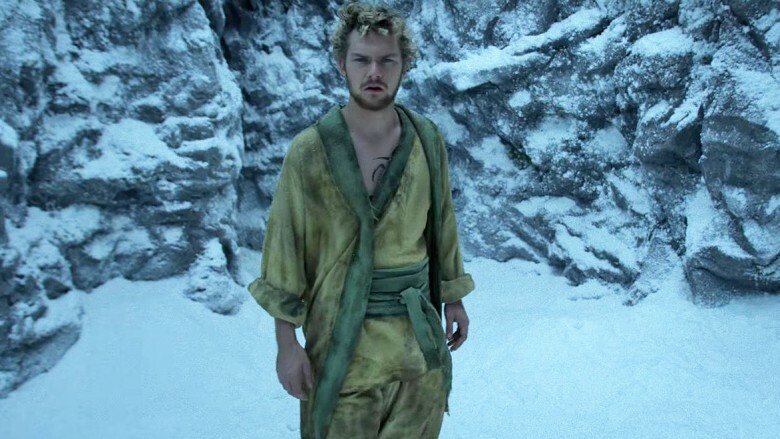 He may be a fine actor, but he was woefully miscast in this role; there's never an onscreen moment that truly feels like the Iron Fist that fans know and love come to life, except for one very brief scene in which Danny is shown old film footage of a previous Iron Fist in action. It's an unfortunate suggestion that this series could've been amazing, but there's reason to hope that The Defenders can right the ship. Showrunners Marco Ramirez and Douglas Petrie called the shots on Daredevil's mostly excellent second season, and there's plenty of opportunity for Danny's character to grow within the dynamic of his team of super-buddies. Perhaps we'll see a more disciplined take on the Immortal Iron Fist when the eight-episode miniseries makes its way to Netflix.